Details: I used Lion Brand Cotton-Ease in Red, White, and Black. 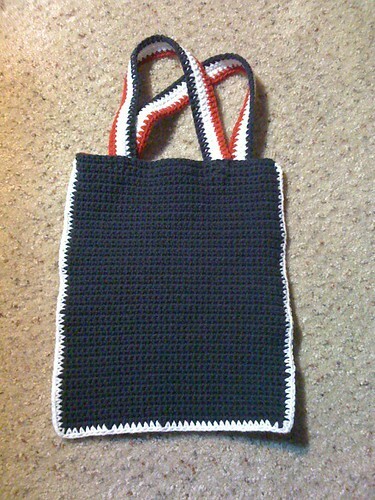 I improvised a pattern for a bag I found in a book, but enough was improvised that it’s not really worth mentioning. It’s about 11 inches tall, not counting straps. 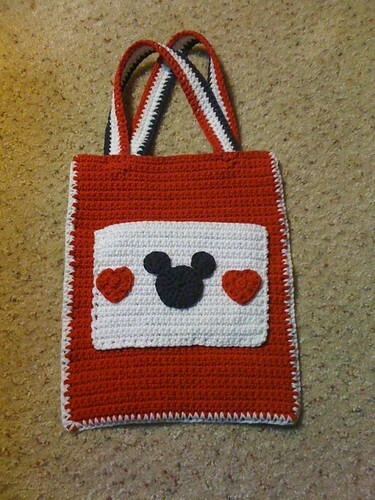 And, aside from being a seriously cute bag, it’s really soft.